Lee Wind: We’re so excited you'll be joining us as part of SCBWI team blog for the upcoming winter conference! Don Tate: If you all are excited then I am ecstatic! I attended a national conference in LA a few years back. It was a blast. I can’t wait to attend the New York conference, covering it as a blogger. I take this job to heart; I may even wear the hat. Lee: You’re an author/illustrator or should I say, an illustrator/author. Which came first, and how did the second evolve? Don: I’ve been an illustrator of children’s books and educational products for more than 30 years. But it took writing a book before anyone began to notice me. I started writing about 10 years ago, when I wrote the first draft for It Jes’ Happened: When Bill Traylor Started to Draw. I guess that makes me an illustrator-author. Thing is, I love writing as much as illustrating. As a matter of fact, I just finished writing a short story that will be included in a middle grade anthology. I. Loved. Writing. That. Story! Longterm, I’d like to focus more of my career on telling stories with words—a chapter book, novel, graphic novel. Lee: What do you want people to know about you? Don: That I like hamburgers. And Twizzlers. I’m a newly converted chocolate lover, too. But really. I think most people who follow me on social networks think I’m an outgoing guy—the life of the party. I am not. I can’t emphasize that enough. I’m an introvert to the nth degree. But I love the children’s book business. It’s the one thing that seems to draw me out of my shell. Lee: What don't you want us to know?wait! don't tell us! are my heroes. When I attend conferences where I am a featured book creator, I spend a lot of time chasing down my favorite authors and illustrators. 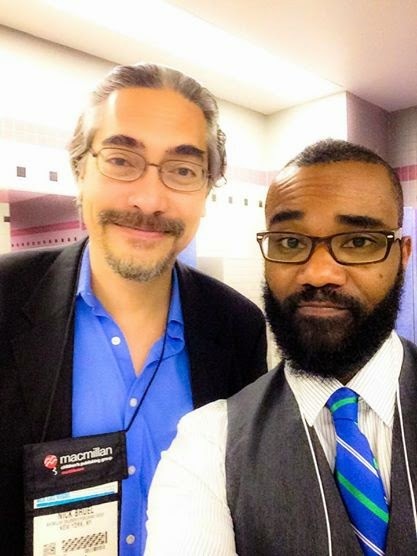 I once cornered a famous author hero in the men’s restroom at a big library conference and ask for a selfie. Don’t believe me, just ask Nick Bruel. Lee: What are you most looking forward to about the conference and about being part of team blog? Don: Well again, I’m a kidlit guy so I look forward to meeting and mingling with my tribe, as Lin Oliver would say. As far as the blog, I’m gonna be like one of those annoying red carpet reports (that everyone enjoys following). I plan to bring the Who, What, Where, When and Why. The conference will be fun, and so I hope to make it an enjoyable experience for those who won’t be in attendance, but who want to follow along. Oh, and by the way, you can also find me on Facebook, Twitter, and Pinterest. Lee: Okay, That's it. quick and easy! See you there! For more or information about Don, see his website! Don Tate is an award-winning author, and the illustrator of numerous critically acclaimed books for children, including The Cart That Carried Martin, (Charlesbridge); Hope’s Gift, (Penguin); Duke Ellington’s Nutcracker Suite (Charlesbridge); and Ron’s Big Mission, (Penguin). 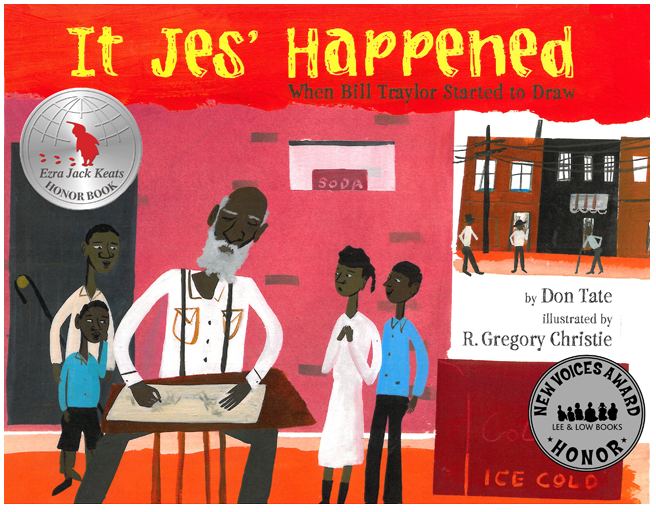 He is also the author of It Jes’ Happened: When Bill Traylor Started To Draw (Lee & Low Books, 2102), an Ezra Jack Keats New Writer Honor winner. His upcoming titles include The Amazing Age of John Roy Lynch (Illustrator, Eerdmans, 2015), and Poet: The Remarkable Story of George Moses Horton (Author and illustrator, Peachtree, 2015). 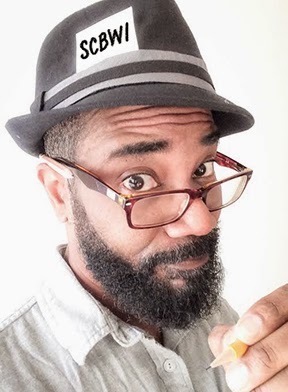 Don is a founding host of the The Brown Bookshelf –a blog dedicated to books for African American young readers; and a member of the #WeNeedDiverseBooks campaign, created to address the lack of diverse, non-majority narratives in children’s literature. He lives in Austin, Texas, with his family.